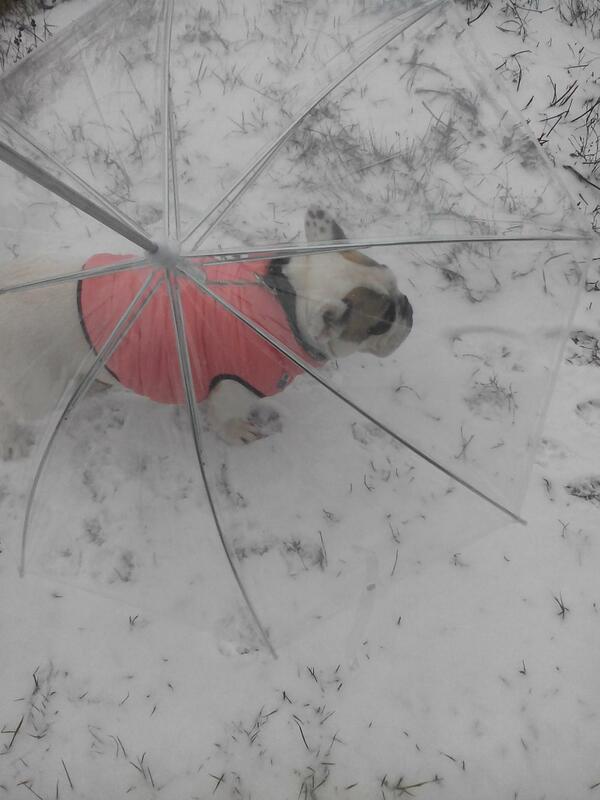 Take your pooch out for a walk—come sleet, rain or snow—with the Dog Umbrella With Leash. 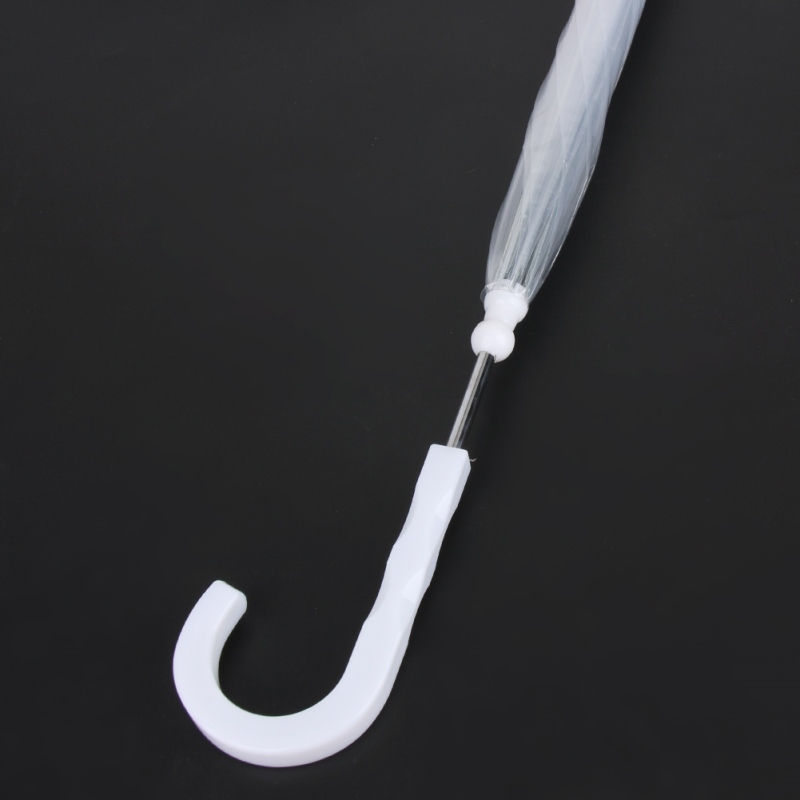 Made to withstand any weather, this water-proof and wind-proof clear umbrella lets you shield your pup from the elements so you can always be ready for a walk, no matter the forecast. It’s made of a durable polyester material that resists tearing and comes with a built-in, strength-tested stainless steel leash that securely connects to your pup’s collar, which means it stays stable and closer to your pal for more coverage. Ultra-comfy to carry with the ergonomic handle, it’s also ultra-strong thanks to the stainless steel frame. Plus, since it’s transparent, it lets you see your pooch as you go. So grab it, head out and get ready for a chance of rain, and plenty of happy walks! 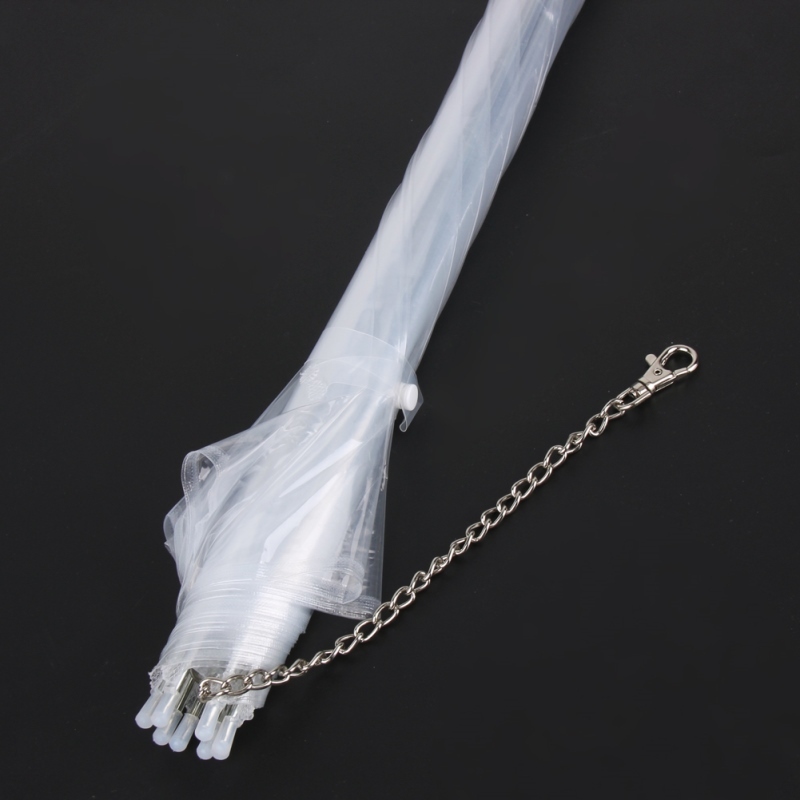 Protects your pet. 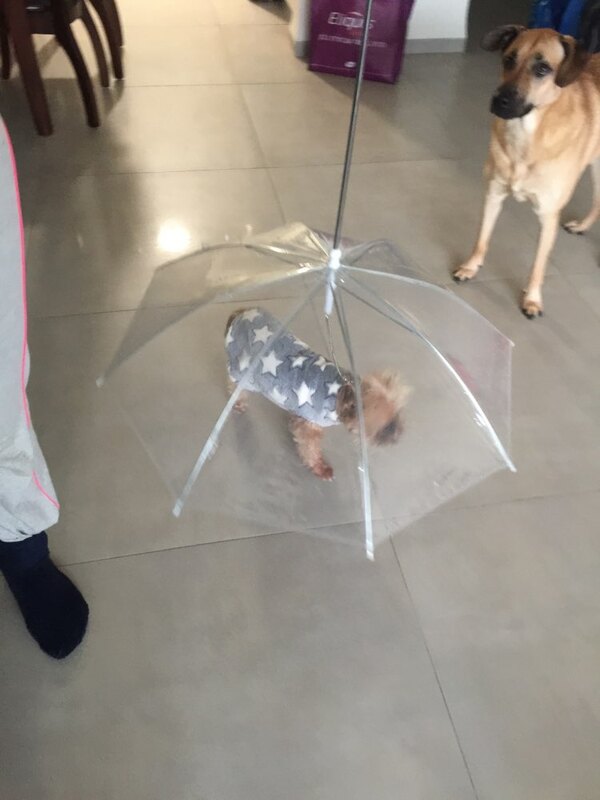 Transparent, weather-proof dog umbrella shields your pooch from rain, wind, sleet and snow. Durable. 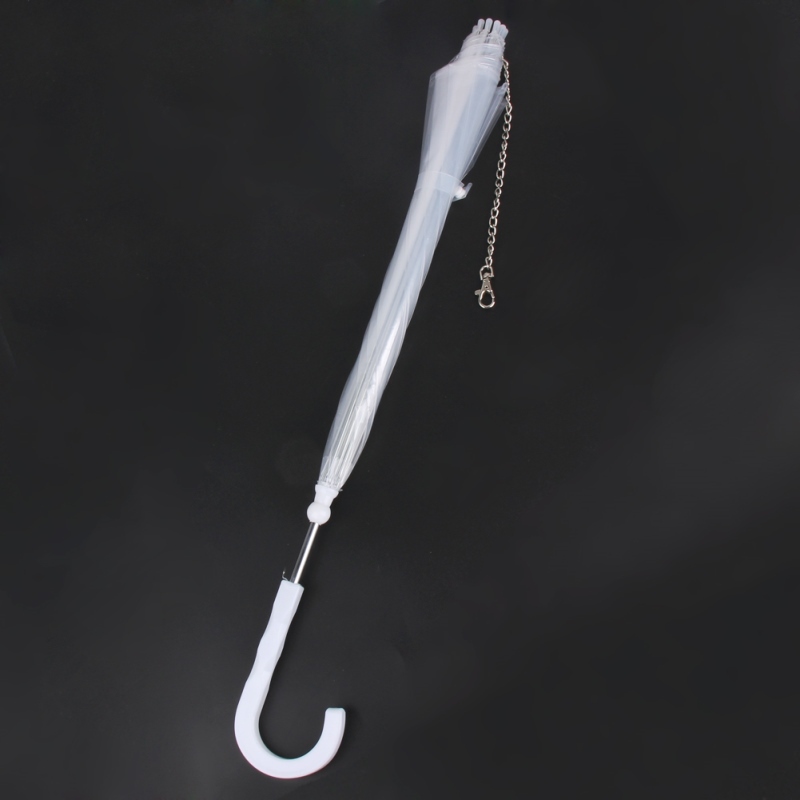 Wind-proof and water-proof design is built with stainless steel frame for added strength and protection. Convenient. See-through polyester lets you have a clear view of your pooch at all times, and is tear-resistant for added durability.